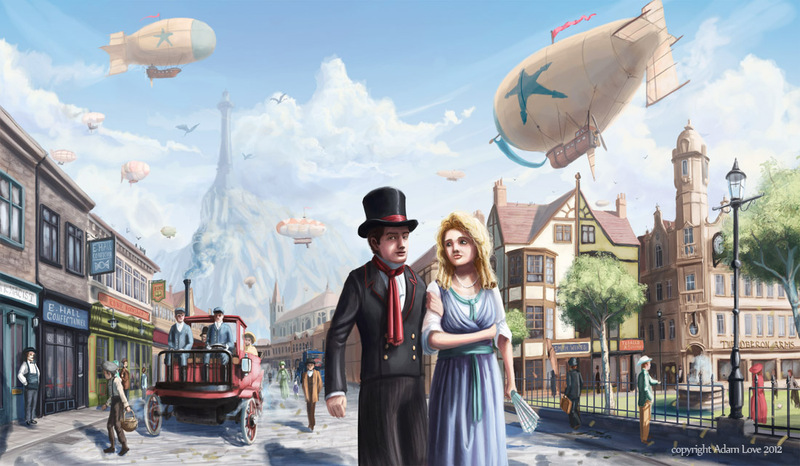 I recently completed some work for a lovely chap who’s putting together a new Steampunk-themed board game called “Airships of Oberon”. 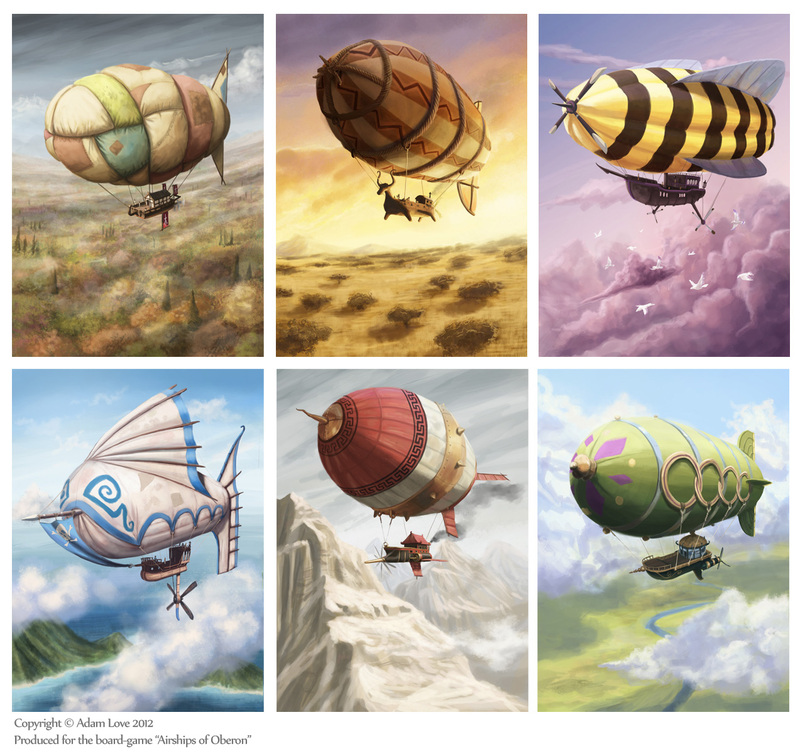 I was originally commissioned to complete the above six card illustrations, which each represent an individual element in the game, from left to right: Autumn, Animal, Wind, Water, Metal and Grass. Clockwork dragons circling a tower in the distance. I’m still getting to grips with the best way to compose these complicated fantasy images with so much stuff going on, but myself and the client were both happy with how it turned out. Now, back to the last stretch of university work.